Let me start off by saying that I’m a bit biased toward anything corvette. I remember the corvette as THE muscle car of my youth. Larry’s discussion of his experience and contribution toward building ABD creating the vette was very interesting to me. I best liked his personal descriptions of behind the scenes activity and the diagnosis of problems and what was done to bring the vette up to standard. 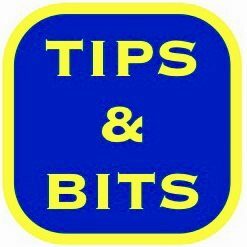 5.0 out of 5 stars – Good book with helpful information. Good book with helpful information. Great book. I would recommend it to anyone who owns a C2 Corvette or has an interest in them. Get an inside look at the St. Louis production line during this time period. Information from a true insider on many details or happenings that shaped the Sting Ray. A very different approach to the topic. Gave a real feel for the car , not your usual history lesson on an historic car. Corvette:1963-1967 (2013 book,I Have the softcover,small and short under 100 pages,no Index) is a quick yet informative read there are no color photos just few regarding Ionia/A.O. Smith/Corvette builds,and the Author’s papers.There is the beautiful cover Car the author once owned before Working/leaving for GM Venezuela getting a transfer there. it’s a Glen Green 65′ Corvette Coupe,The book is about the Manufacturing Process of the Corvette and how the Author made sure the Corvette was built right despite Lazy Labor(The Union and it’s greedy Demands and it’s malfeasance how many positions for one Unionman etc. )and How The St.Louis Plant was Always Jealous of Ionia and would find any excuse to send back parts made as defective among other interesting things described. 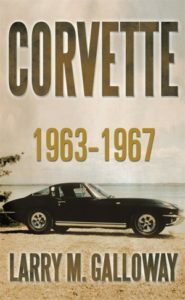 I highly recommend it to Corvette Lovers As I Love Corvettes and Love this book which I got as a Christmas Gift. My name is Bill Barnhart. I just bought and read your book about your work at the St. Louis assembly plant. I will say, you have produced an excellent book. Your insight adds so much color to the C-2’s history. Fascinating. I just wanted to say thank you for sharing your experiences with us C-2 owners. Well done.